*This post is in collaboration with Snapfish, however, as always, all thoughts and opinions expressed in this post are 100% my own. Father's Day will soon be upon us, but thanks to Snapfish, myself and the boys were able to surprise Jacek with some beautiful and memorable Father's Day gifts a little bit early. As a family, taking pictures of all our adventures together is our 'thing'. Jacek and I both love to be behind the camera, capturing memories for us and the boys to look back on in years to come. 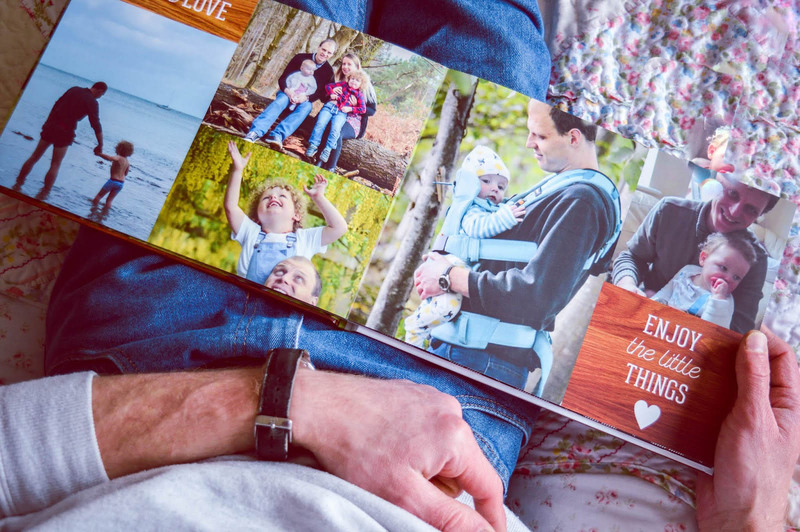 One thing we're absolutely awful at though is displaying or putting our pictures in an album, so when Snapfish got in touch asking if I'd like to create some photo based gifts for Jacek, I knew they'd make a perfect and very memorable gift for him. 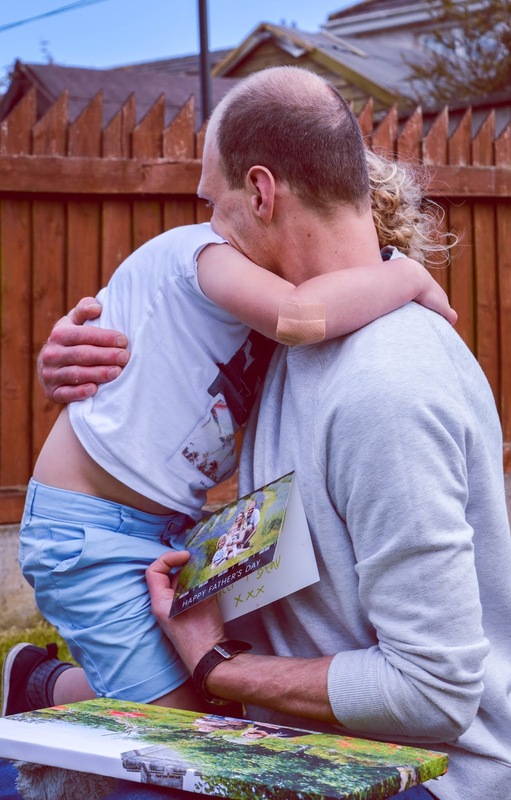 Sadly, Jacek usually ends up missing out on special days like Father's Day because he has to work, but that doesn't mean we don't like to make a fuss of him or make him feel a little bit special. He's such a good daddy and the boys are absolutely besotted by him. He works so hard to provide for us all and we'd be lost without him. 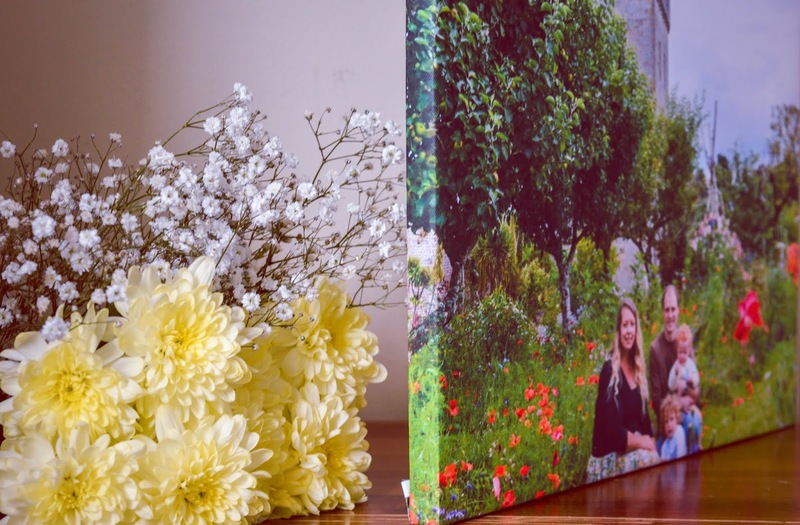 Snapfish have a wide range of personalised photo gifts and for Jacek I chose the Slim Line Canvas and the 11x8 Hard Cover Photo Book. 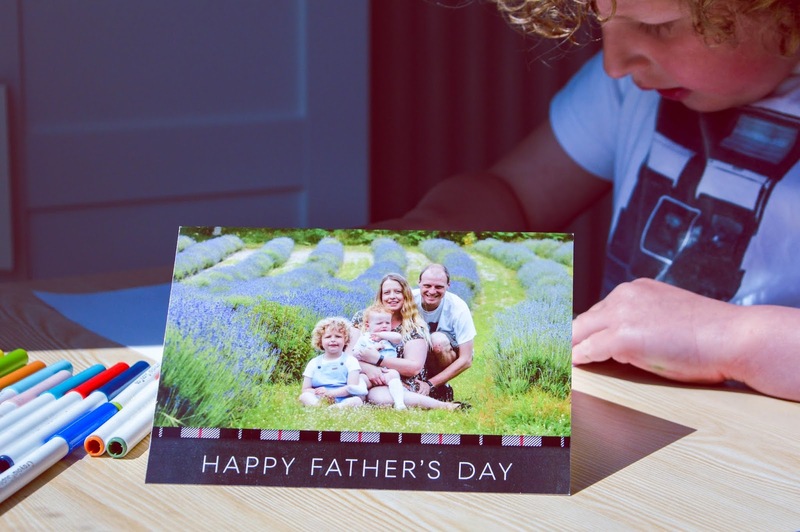 I also was able to make a personalised Father's Day card for Jacek too and this was such a lovely touch to add to his gifts. When I saw the photo books I knew that getting Jacek one for Father's Day would be a lovely idea. I was able to include pictures of him and the boys over the years, as well as some of our favourite family photos. 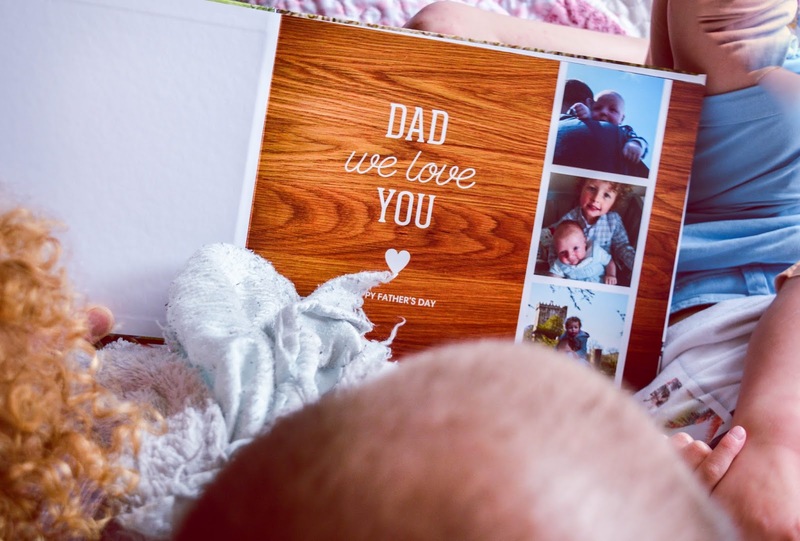 I chose the pre-made Father's Day template for the photo book provided by Snapfish but I was able to change and add text easily. 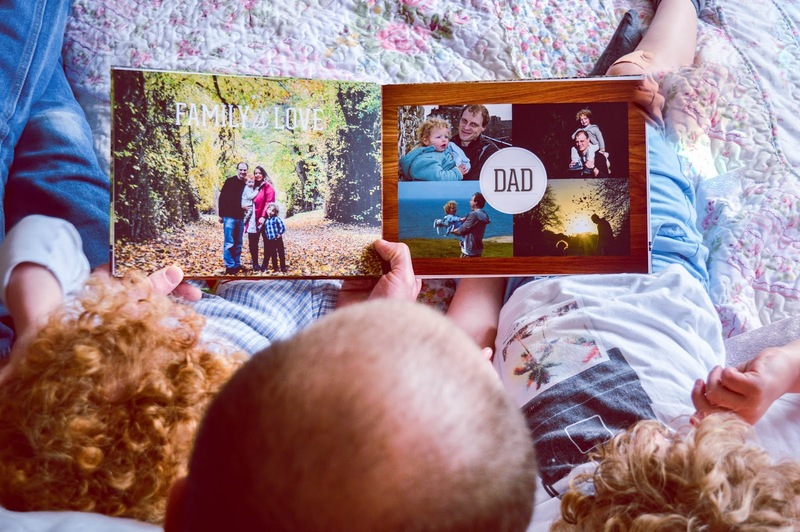 I think the Father's Day embellishments and backgrounds really helped to make the photo book that extra bit special and I love that it has a theme. 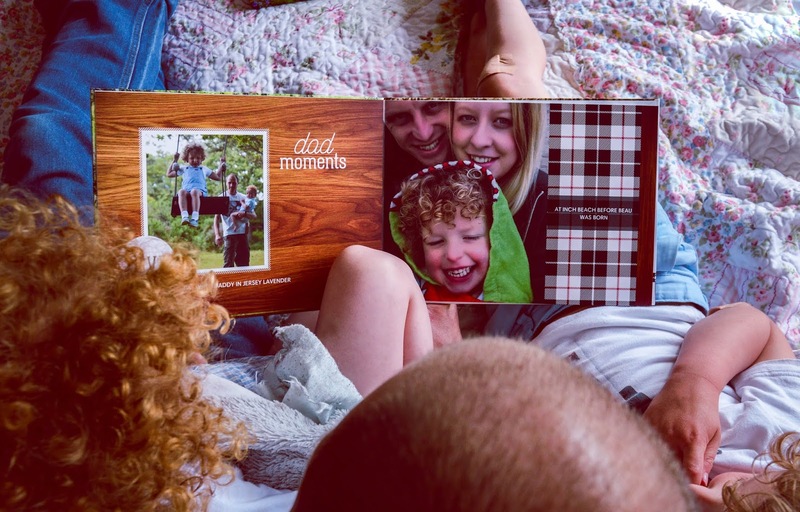 The photo book is absolutely beautiful and has made the loveliest Father's Day gift for Jacek. He loved looking through it and reliving his memories with us all - I was even able to put some forgotten phone snaps in it and the memories are so lovely to have included within the photo book. 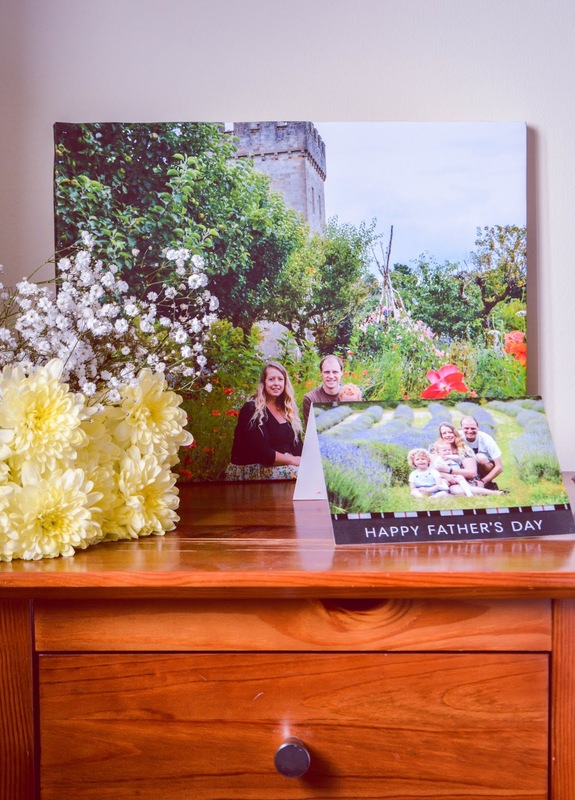 We had no photos on display of the four of us in our home, so when I saw the Slim Photo Canvas I thought putting one of our favourite family pictures on it, from one of our adventures last summer to Lismore Castle, would make a lovely gift for Jacek. The photo came out so vibrant on the canvas and the resolution is perfect on it. 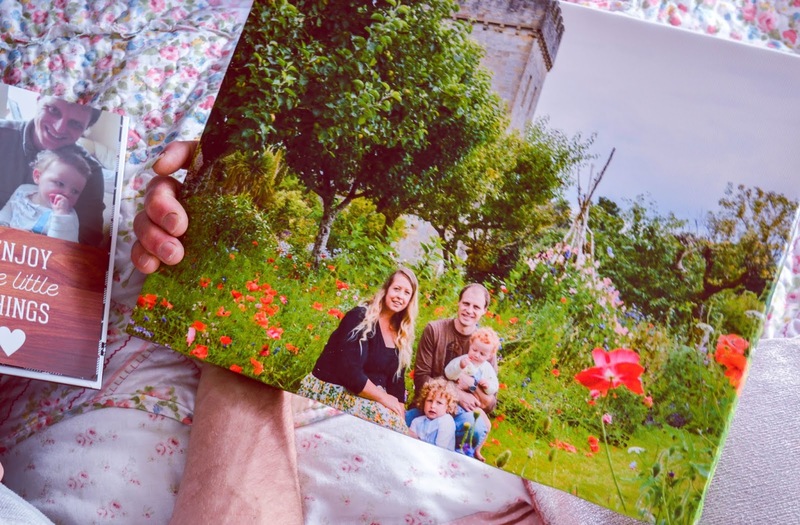 There were various size and layout options available for the Slim Photo Canvas but I thought just having it focused on one favourite picture of Jacek's would be lovely - and it is! 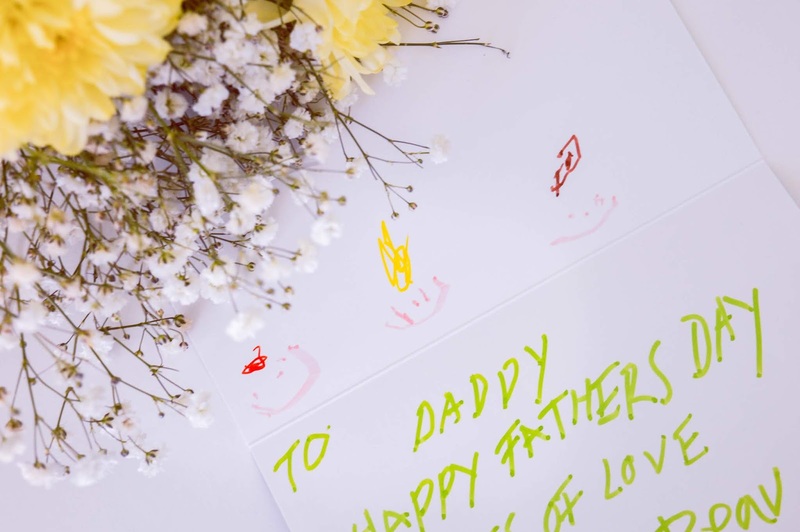 The card is the most touching part of any Father's Day gift and Snapfish had so many lovely designs to choose from. I chose this design as it matched the details on the photo book and again, I liked that I could put one lovely photo on the front of it as the focus. Having a photo card makes for such a unique and wonderful keepsake I think and makes it all the more special to see one of our lovely family memories on the front. The inside of the card is left blank for you to add your own message and Tyler had great fun decorating the inside of the card for his Daddy. Look at the adorable pictures he drew of himself, his Daddy and Beau, all with the different hair colours - I mean how adorable is he?! This is just a selection of the beautiful and memorable Father's Day gifts that Snapfish have to offer. They also have mugs, magnets, table top panels, calendars, cushions, notebooks and more, so there really is something for every father! The Snapfish website is so easy to use and uploading pictures couldn't be easier - you can upload them straight from your device or from sites such as Instagram, Google Plus and Facebook too. I'm so impressed with the quality of Snapfish's products, I really was in awe of them when I saw them. Snapfish's products aren't very expensive either, but they really are amazing and so unique. I'm delighted to have been able to give Jacek such beautiful and memorable Father's Day gifts from the boys this year - all thanks to Snapfish. To receive 40% off your Snapfish order use the code GIFT4DAD - valid until 30/06/2018. Click here to browse Snapfish's wonderful range of Father's Day gifts. 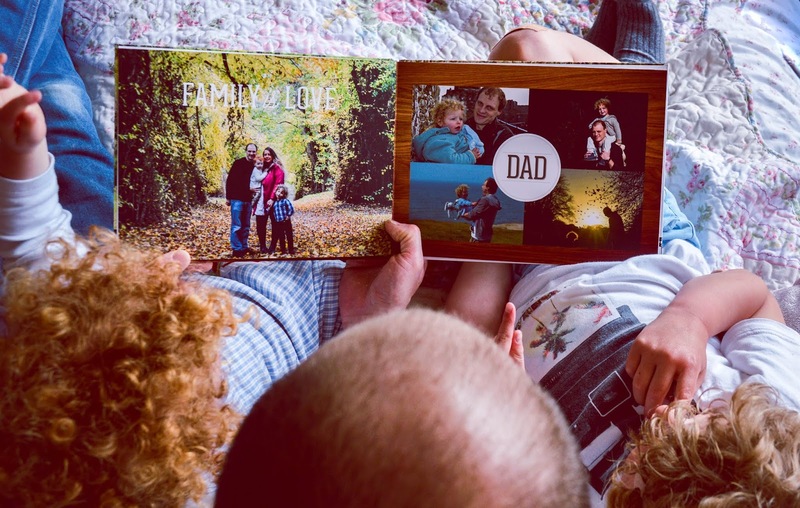 Are you a fan of photo gifts? Are these something you would choose to give a father in your life this Father's Day? Looks like you have selected some wonderful gifts. I'm going to have a look for something for my husband now! Gorgeous gift ideas and the quality looks fab!